Namya, a 12 year old child has become an icon for others. Her fascination for Collaboration, Minecraft, and Skype Learning began when she was just ten years old. Namya prepared a project to be submitted to UNESCO Clubs on “MAGICAL WORLD OF BOOKS LEADING TO #SDG’S 2030” wherein she talked about how she is working on #SDG4-Quality Education by using the game called Minecraft Education Edition, Skype and Collaboration projects. Unparalleled connectivity has put Namya in one of the greatest positions to bring much needed change to the world. 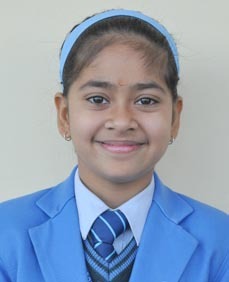 She has got an invitation from UNESCO’s Builders of the Universe Camp to be held at Hood College in Federick, Maryland, USA wherein she will receive an official plaque engraved with her name and a certificate. This is a tremendous opportunity for her to build leadership skills, learn how the United Nations conducts itself and meet youth from around the world. Principal, Bhupinder Gogia, Sat Paul Mittal School, felt proud on this outstanding winning and congratulated Namya Joshi for this remarkable achievement.